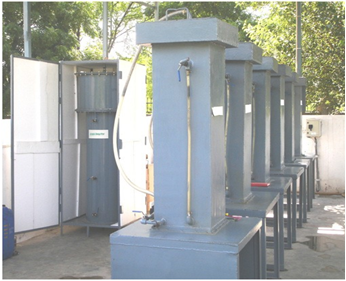 The present invention relates to the treatment of organic solid wastes through anaerobic digestion within a short retention time of 7 days without mechanical mixing. The two stage process comprises of an Acidification phase in which organic content of solid waste is leached out to make a high strength liquid by decomposition of waste and a Methanation phase in which this high strength leachate is treated in a high rate Upflow Anaerobic Sludge Blanket reactor to produce biogas. The present invention produces non-flowable slurry after waste digestion and recycles water within the process resulting in reduced water consumption and aesthetic conditions around the plant. With no concept of fixed water supply through the day, in India it becomes incumbent upon every house owner to not only use the direct supply of clean fresh water but store it in overhead tanks as well. However, the supply of water from two different sources requires an elaborate and complicated network of pipelines along with other associated accessories requiring high capital expenditure. Improper space utilization and loss of aesthetics are also a growing concern among urban population. The device functions in such a way that when fresh or preferred water supply is available, the supply from alternate source is stopped and fresh water is allowed to flow towards the outlet. On the other hand, when supply of fresh water is not available, device shifts supply from fresh water line to an alternate source such as an overhead tank. A transparent indicator with ball arrangement is provided to indicate changeover of water supply from fresh water to overhead water. 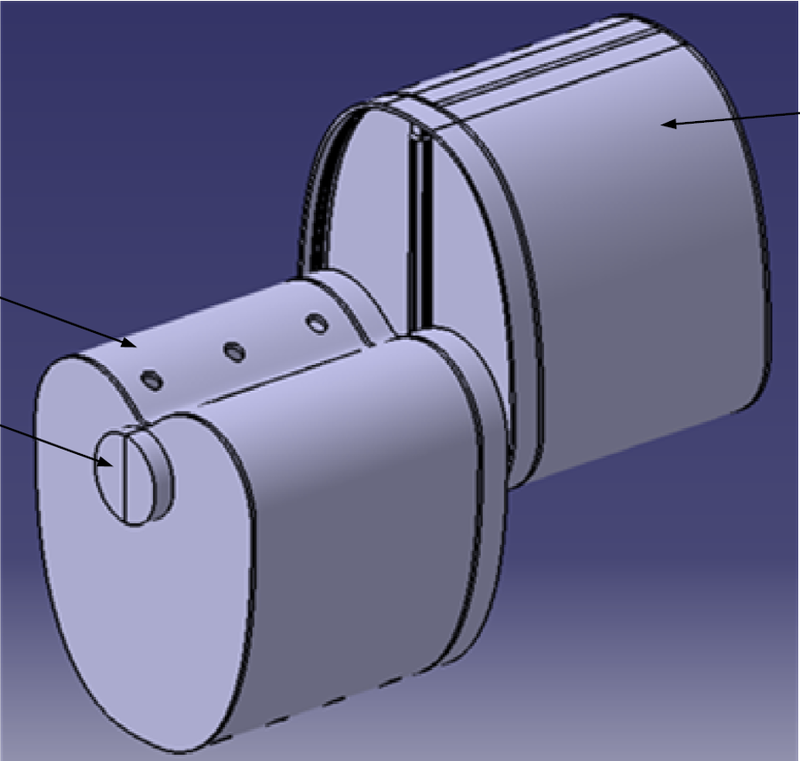 The device operates based on pressure difference between different supplies. 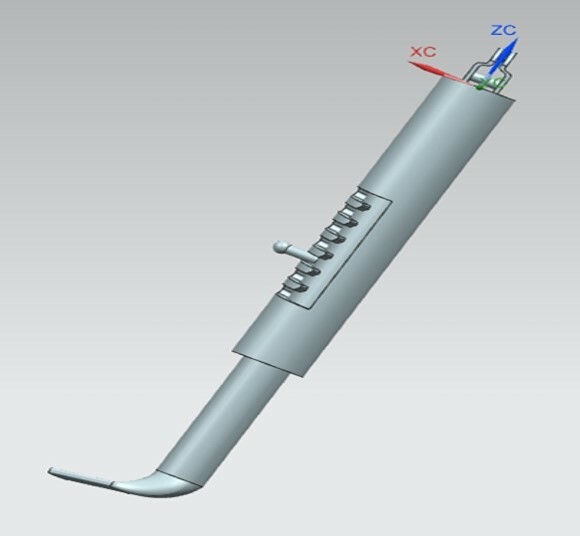 The present invention relates to a simple and novel design of retrofitable retractable non-torque air suspension system. 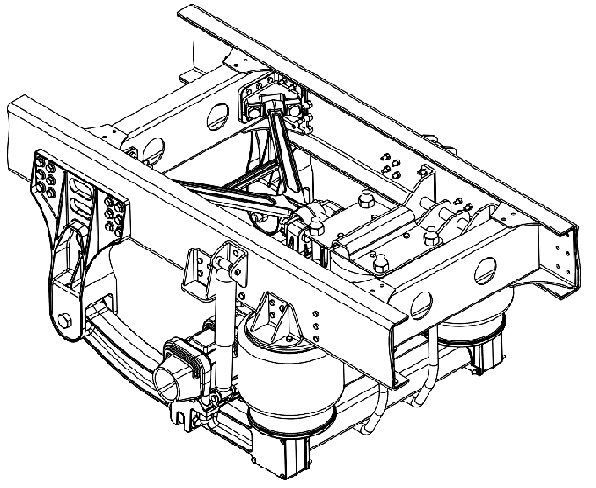 The proposed non-torque liftable air suspension system for vehicles comprises an axle with tire assembly, a hanger bracket attached to the axle outside of a frame, arms connected at the hanger bracket with a holder and bussing assembly and extending parallel to the frame, a specially designed cross bar to interconnect trailing ends of the arms (LH & RH) with a novel joint to provide suspension rolling stability; a torque rod connected at the frame inner with brackets and axle at middle with brackets; ride air bags mounted to the arms with suitable brackets, and a simple lifting mechanism having the brackets, lift air bag, lifting U-bolt, and frame mounting bracket. The present invention relates to a rotary vane reciprocating compressor and, more particularly it has positive displacement and aerodynamic compressors. The rotary vane reciprocating compressor (RVR) is a tradeoff between positive displacement and aerodynamic compressors, which provides higher mass flow rate and pressure ratios, whereas positive displacement compressors handle less mass flow rate at high pressure ratio while aerodynamic compressors handles high mass flow rate at less pressure ratio. 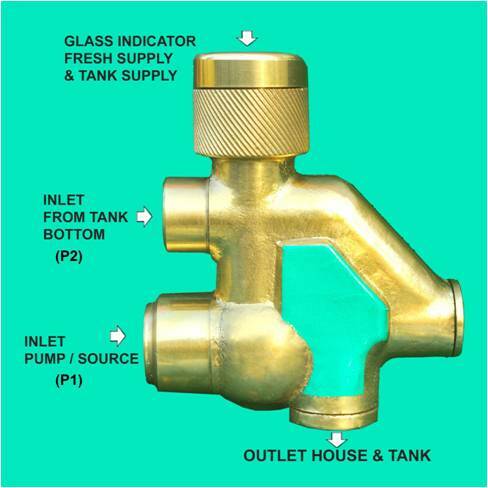 It has large applications in various industries like Food industry, Tool Industry, Chemical Industry, Refrigeration, Central Air conditioning etc. 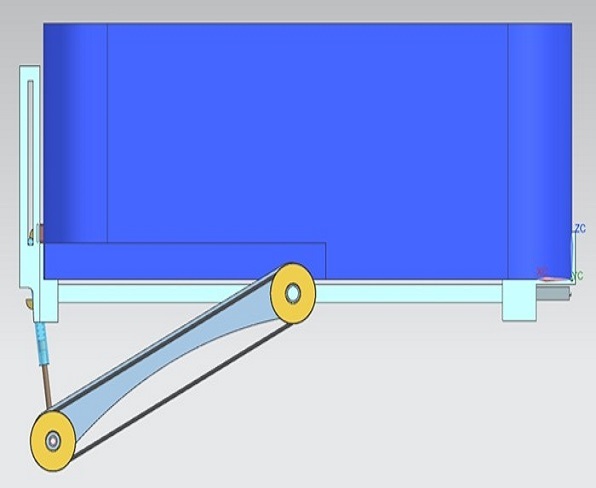 The present invention relates to an instantaneous length or an angle adjustable side stand mechanism for enhancing vehicle stability, whose length or angle will be depending on the ground parking condition. This also readily allows customization for modifications in two wheelers as per user requirement. The present invention relates to a travel bag with track wheel and shock absorber and, more particularly a mechanism to track wheel and shock absorber in retracted position, is completely packed and aesthetically designed. The said mechanism rolls out in controlled manner and shock absorber engages during deployment for easy operation. It has few advantages like travel bag need not be lifted, can work in any terrain and keeps even the fragile items safer.